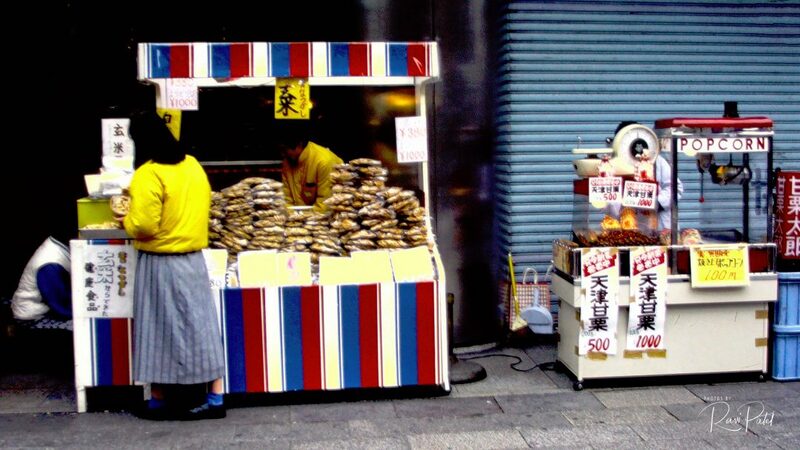 A Japanese street vendor selling wares to a customer. 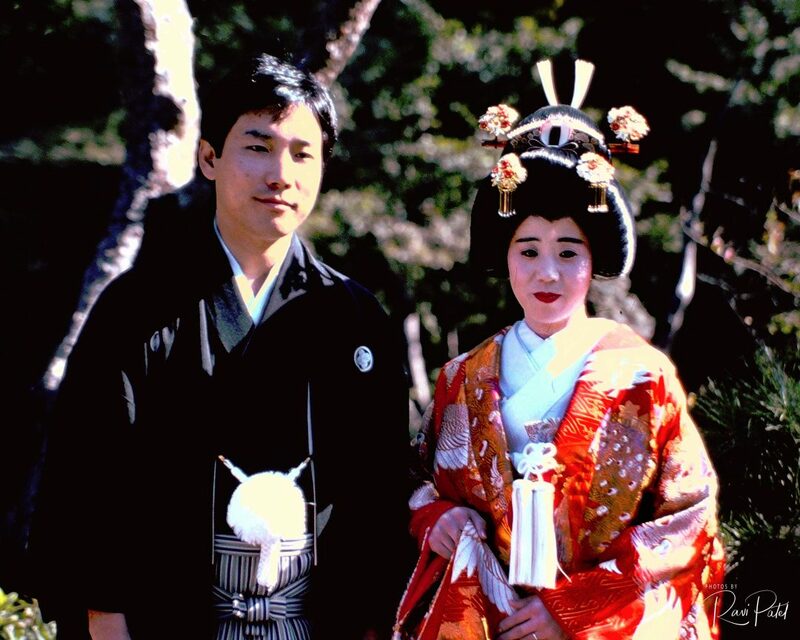 Circa 1985. 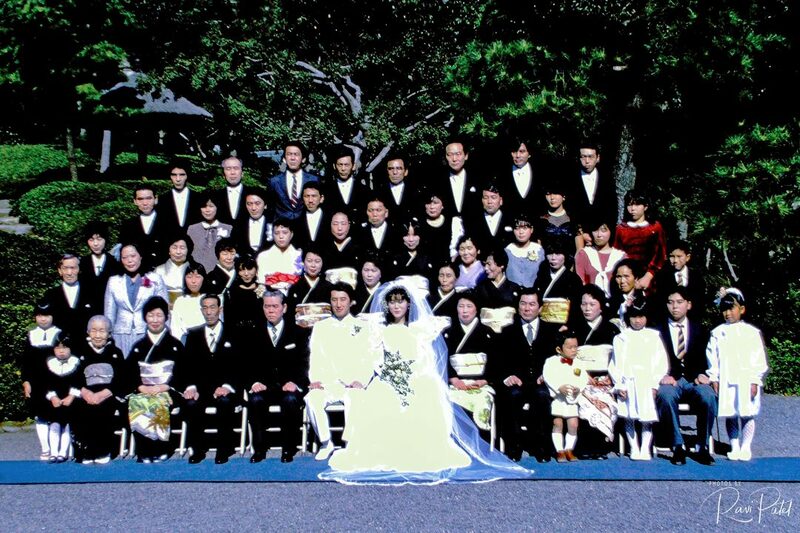 A formal portrait of a Japanese wedding party. Circa 1985. 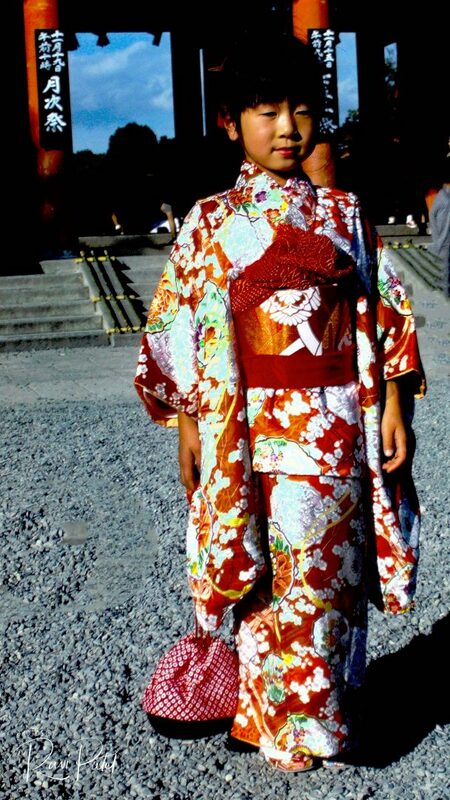 A cute face and colorful kimono make this young Japanese girl seem like a doll. Circa 1985. 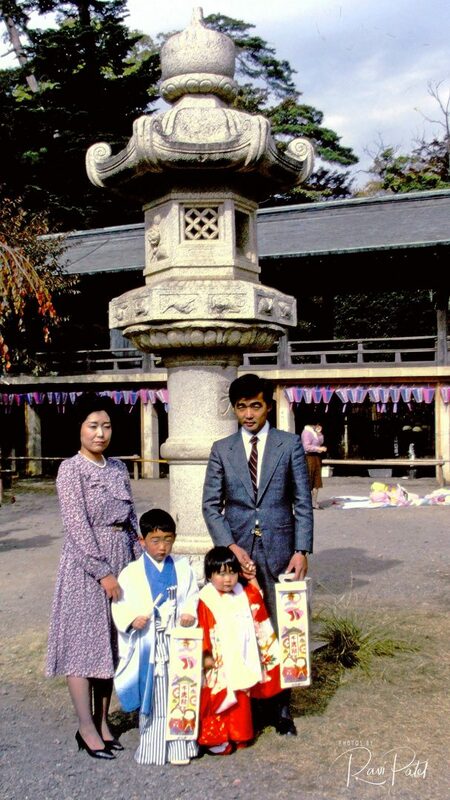 Interesting image of Japanese children dressed in traditional costumes while the parents are in Western clothes. Circa 1985. 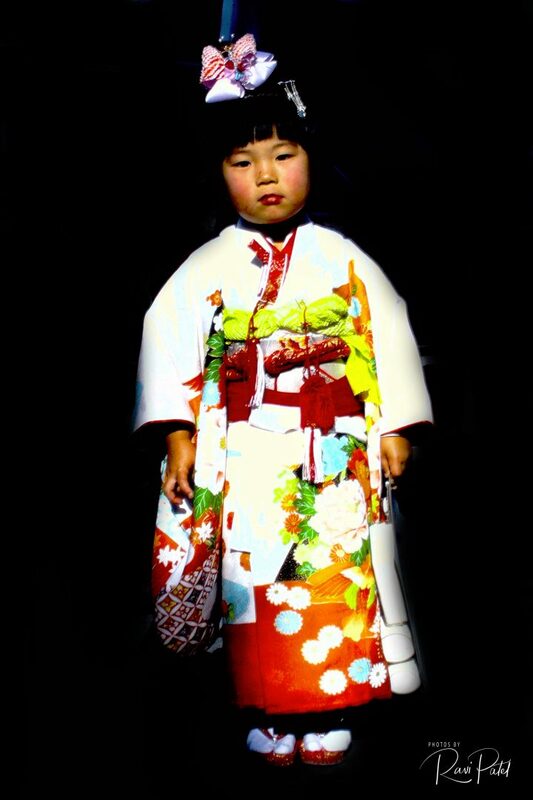 Posting this week slides of Japanese people converted to digital images. 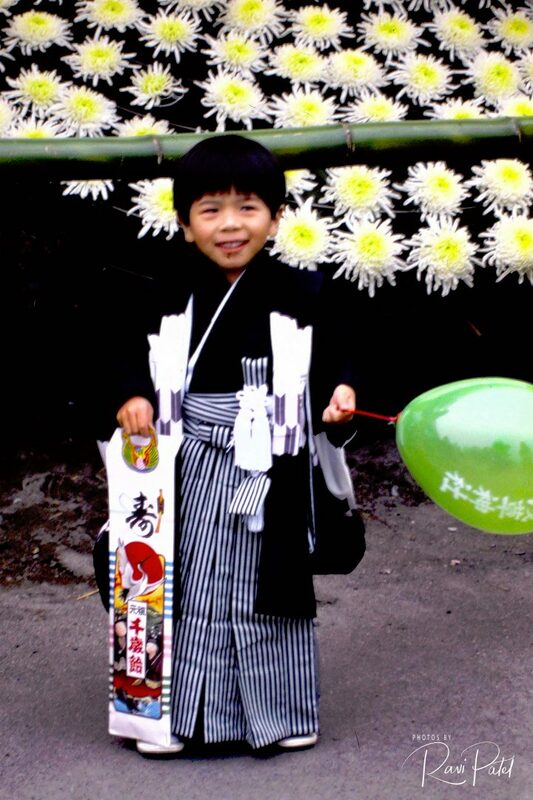 A Japanese boy dressed in traditional costume against a backdrop of flowers circa 1985.